 Whether you want to grab a bite to eat close to home or venture out to the city for great shopping and entertainment, The Apartments at Iron Ridge give you access to it all. Don't feel like cooking? Within walking distance you can enjoy a sandwich from Wawa, get a taste of Durham's Best Barbeque, or grab a slice at Nick & Joe's Pizza. Looking for a great place to shop? The Apartments at Iron Ridge are just minutes from Interstate 95 and centrally located between Philadelphia and Baltimore. Commuters and travelers will also love our proximity to Delaware, offering a variety of entertainment and employers just seconds from home. Enjoy on-campus activities and educational pursuits at the University of Delaware, only a few minutes away. Healthcare providers and patients can also appreciate having Christiana Care Health System nearby, one of the best hospital systems available. Have all the perks of the big city just minutes from home without sacrificing the peace and quiet of serene neighborhood-style living. Visit us today to learn more!